For the entire month of October, when you drop in wearing your Halloween costume you’ll get a FREE studio fee. You buy the piece and we’ll take care of the rest. Open: Monday – Friday 10 am- 5 pm; Saturday 10 am – 4 pm. Closed Sundays. 505-820-9891. Check us out on Facebook, or visit our website: http://www.turtleworld.com. You can also join our newsletter to receive all the latest Turtle World Promotions and recieve more posts from Fred Turtle. 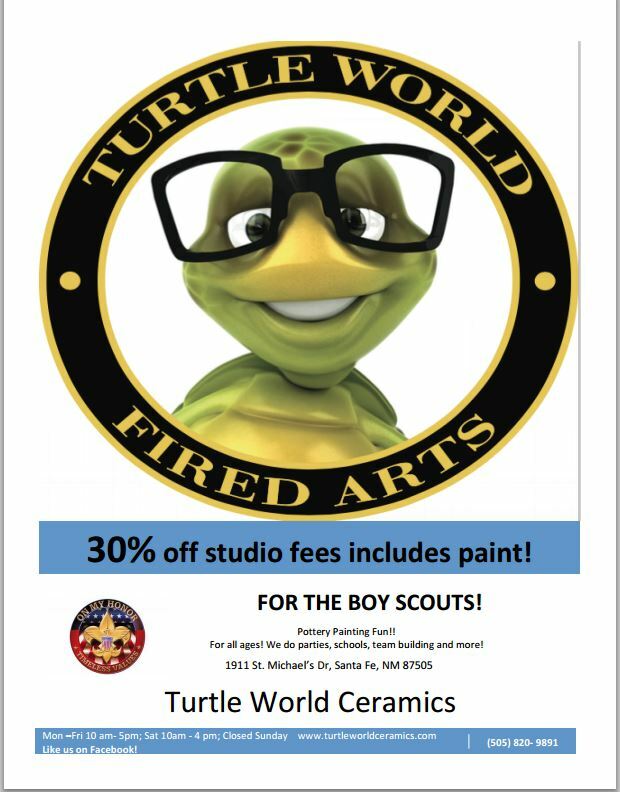 Turtle World Ceramics, a Paint Your Own Pottery Shop!! I’m Fred Turtle, and I enjoy spending time at my home Turtle World Ceramics. The owner, Scott Ortega, asked me to write about why I love Turtle World. So, I thought I’d take crack at it. Santa Fe is stunning and living here is a unique cultural experience. It’s more than just a great place to live–it’s a way of life. In the city different, we love art, history, and spending time with family and friends. We know how to balance hard-work and playtime. Here at Turtle World Ceramics, we do our best to ensure that our family and friends have an open place to express their creativity through art. We have a wide variety of affordable pieces from miniature turtles, piggy banks, princesses, cars, and holiday items. If you’re looking for a place to create that perfect keepsake gift for mom, dad, or grandma then stop on by–we can’t wait to see you!